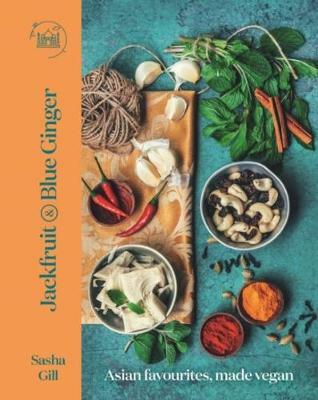 A modern way to dine: Jackfruit and Blue Ginger is more than a vegan recipe book, it is a true collection of Asian favourites with a vegan twist. Perfect for fans of books such as Plenty and Bosh!. Vibrant Asian flavours: When Sasha Gill turned vegan, she didn't want to miss out on the vibrant flavours of her favourite Asian dishes; so she got to work 'veganising' them. Studying medicine in the UK, far from her childhood home in Singapore, Sasha is a student who understands what it is to be short on time and budget; most of her recipes don't take long or demand expensive ingredients. Through constant experimenting, she started to create dishes just as delicious and satisfying as her street-stall favourites and family dinners; only using plants in place of meat and fish. Sasha takes inspiration from the flavours of Asia.